The Dark Knight, ready to take on the forces of evil! Taken from the pages of the bestselling Justice League comics. Limited edition Batman statue stands 10 1/4-inches tall. The first striking statue in the collectibles line taken from the pages of the bestselling Justice League comic book and graphic novels by comics superstars Geoff Johns and Jim Lee features the Dark Knight, ready as always to take on the forces of evil! 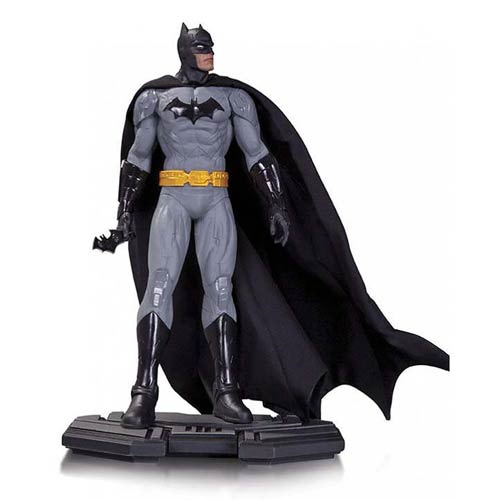 A limited edition of 5,200 pieces, the DC Comics Icons Batman 1:6 Scale Statue stands approximately 10 1/4-inches tall. Ages 14 and up.